Our mission is to help New York and New Jersey residents manage the risks of everyday life. We focus on Auto Insurance, Home Insurance, Renters Insurance, Life Insurance, Health Insurance and Business Insurance throughout New York and New Jersey, especially Pleasantville, Briarcliff Manor, Armonk, Chappaqua, Valhalla, Thornwood, Hawthorne and Elmsford. Our staff has one main goal...making your insurance experience remarkable! They are always enthusiastic about making your life easier and helping you make good decisions about insurance and financial products. 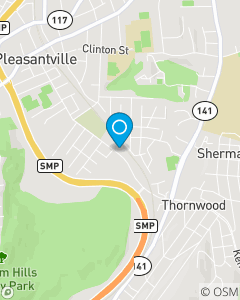 Give them a call or visit them in our Pleasantville office to see for yourself.